PHOENIX - Rep. Gabrielle Giffords is in good condition now and will be moved to a rehabilitation center on Wednesday morning, according to officials at the Houston hospital where she is being treated. Giffords' condition was upgraded from serious on Tuesday evening, a statement from Memorial Herrmann-Texas Medical Center said. Giffords and her husband, Mark Kelly, were photographed in her hospital room watching President Barack Obama's State of the Union speech. Giffords was moved to Houston Friday from Tucson, where she had been treated since being shot Jan. 8 in an assassination attempt that left six people dead and 12 others wounded. The statement said "Giffords has made strong progress" in the intensive care unit and was ready to move on to rehabilitation. A news conference was planned for 3 p.m. local time Wednesday. 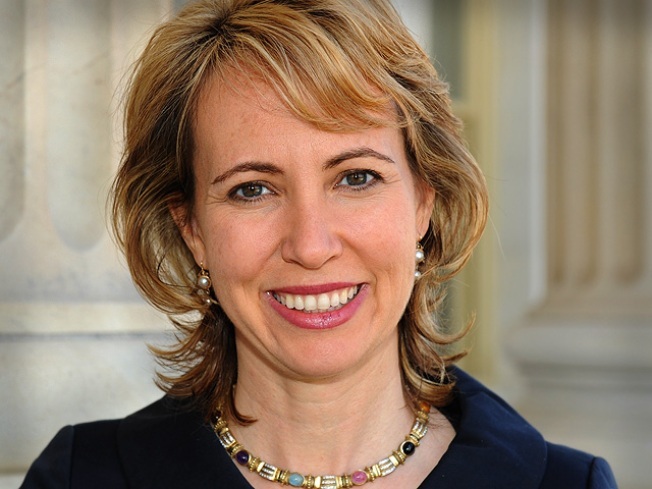 Giffords, a three-term Democratic congresswoman, was shot in the forehead. Among the six who died in the attack at a constituent event was a 9-year-old girl who was interested in politics and was taken there by a neighbor to meet Giffords. Christina Taylor Green's family, as well as a Giffords intern who cared for the congresswoman after she was shot, attended the State of the Union speech in Washington. Daniel Hernandez was hailed as a hero for rushing to Giffords' side and applying pressure to her wounds before paramedics arrived. Also attending the address was Dr. Peter Rhee, head of trauma surgery at the hospital where Giffords initially was treated. An empty seat was left in the chamber, and Obama noted Giffords' absence in the speech. On Monday, the 22-year-old man accused in the shooting pleaded not guilty to charges in the attack.Jared Loughner smiled and nodded but said nothing as his attorney entered the plea Monday to federal charges of trying to assassinate Giffords and kill two of her aides. He also faces murder charges in the deaths of a federal judge and another Giffords aide killed in the Tucson shootings, and more charges were expected.